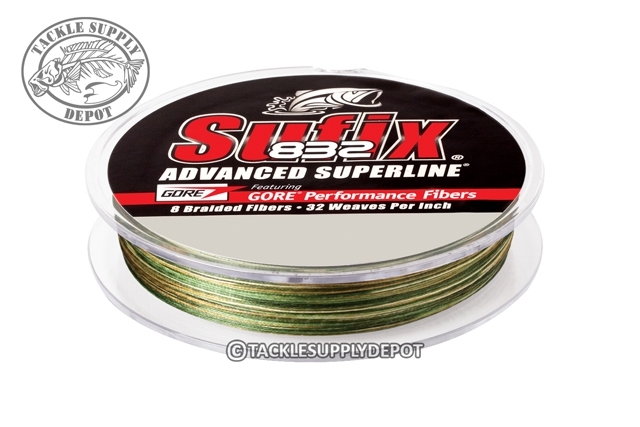 Sufix 832 Advanced Superline is the strongest, most durable small diameter braid on the market. R8 Precision Braiding and fiber technology provides superior strength, roundness and line consistency. Patent-pending construction of 8 fibers (7 Dyneema plus 1 GORE Performance Fiber) and 32 weaves (pics) per inch. The GORE Performance Fibers improve abrasion resistance, increase casting distance & accuracy and reduce line vibration. The Dyneema fibers provide high strength & sensitivity, hydrophobic water-repellent protection and small diameter.